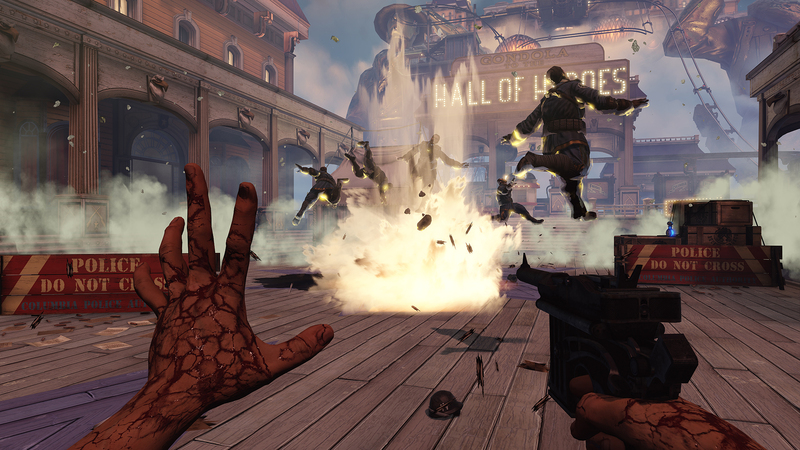 BioShock Infinite has big shoes to fill, but developer Irrational is embracing the challenge. 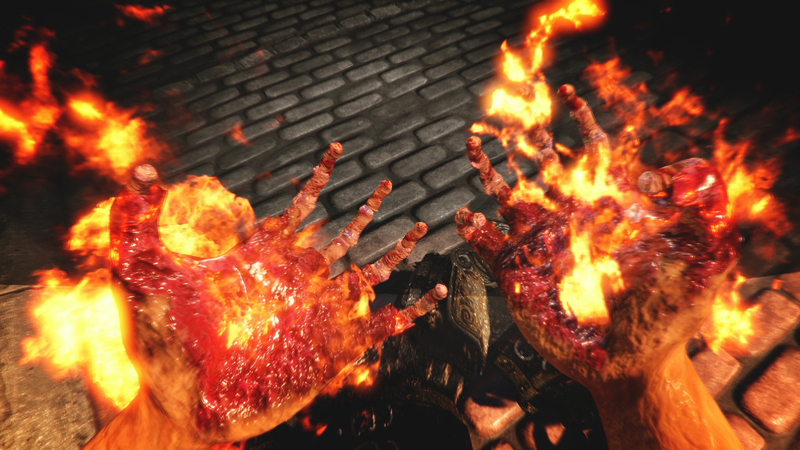 It's been a full five years since the release of the original BioShock title, and although BioShock 2 came out in 2010 from 2K, gamers have been waiting half a decade to see what the original BioShock team - now known as Irrational Games - has in store for its own sequel. 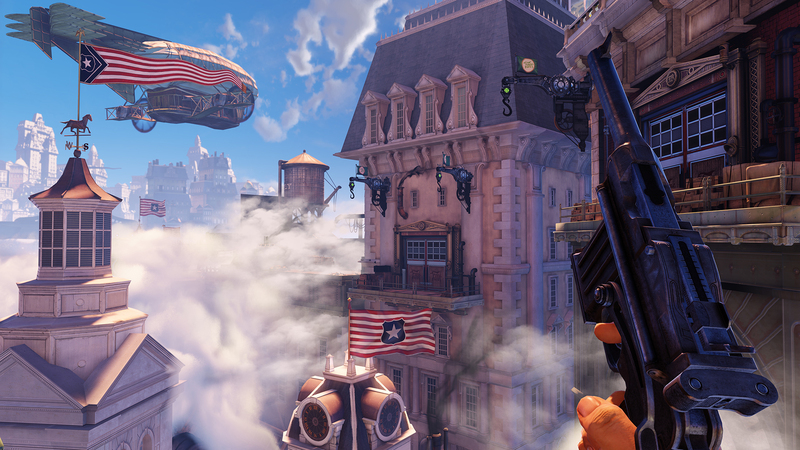 BioShock Infinite is just a few months away, and I just spent a number of hours getting a first taste of what it has to offer. I played what Irrational considers to be the first 2.5 hours of the game, starting at the beginning. However, after adding all my loot-gathering and random exploring time to the mix, it came out to somewhere between 3.5 and 4 hours total. I know that the very first thing everyone wants to know about Infinite is whether or not it's actually a BioShock title at heart, rather than just in name. 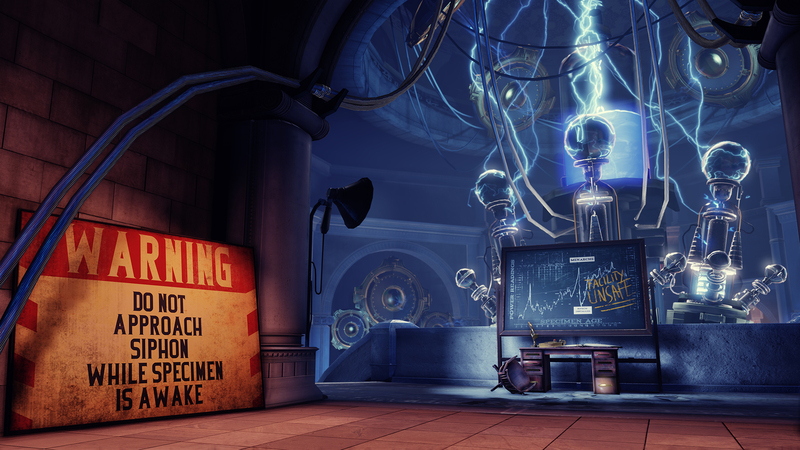 And while I've only played what amounts to a fraction of the final product, I can say that the game is both true to the BioShock formula and a complete change of pace for the series, at the same time. I know that sounds paradoxical and perhaps impossible, but allow me to explain. When it comes to the game world, Infinite's floating 1912 metropolis of Columbia couldn't be more different from the sunken dystopia of Rapture. Instead of millions of gallons of water weighing down on you, massive platforms are constantly supporting both your character, Booker DeWitt, and every structure, pathway, and vista Columbia has to offer. But while the scenery may be different, the feeling you get while exploring remains the same. When venturing through the leaky caverns of Rapture, what lie beyond the glass walls surrounding you meant certain death. Infinite's hovering cityscape creates the same anxiety, especially when you venture too close to an edge and realize your death is really just inches away. 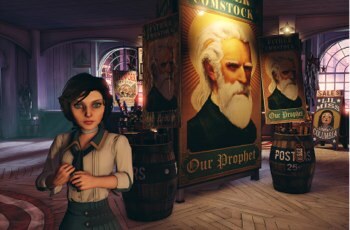 Just as in Rapture, Columbia never lets you feel safe, and you'll always fear that the entire game world is about to come crashing down around you, the same way you feared it in the original BioShock title. When it comes to Columbia's residents, the same applies. 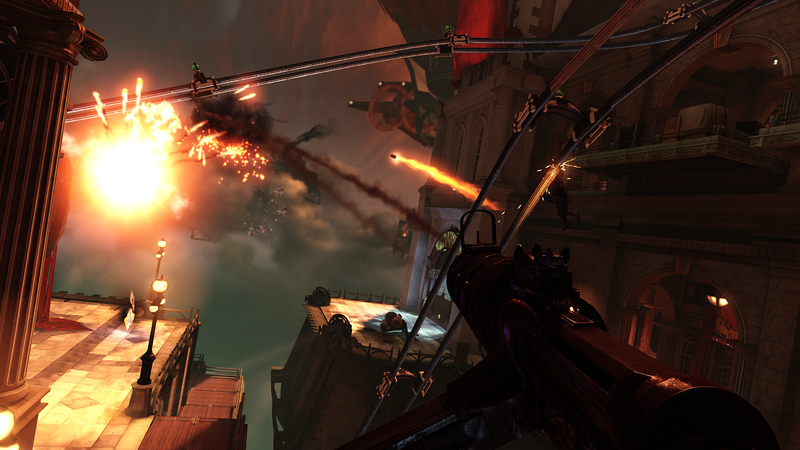 In Rapture, fellow citizens were either drugged-out "Splicers," or evil, manipulative maniacs bent on squeezing the last drops of life out of the decrepit city. By comparison, Columbia's residents are not only plentiful, but also well-dressed and outwardly kind. When they don't perceive you as a threat, the NPCs will jabber on about pretty much anything, and listening to the banter is actually quite entertaining. However, they remain frightening in an entirely different way. Columbia's rich, overly patriotic culture is rife with racism, intolerance, and bitterness. Racially-charged imagery appears abundantly, and impassioned rants by NPCs speak of the burden put on the white man by other ethnicities. Likewise, some smeared and fuzzy history is at work in the minds of Columbia's inhabitants, celebrating with blind furor what we typically consider to be historical villains. 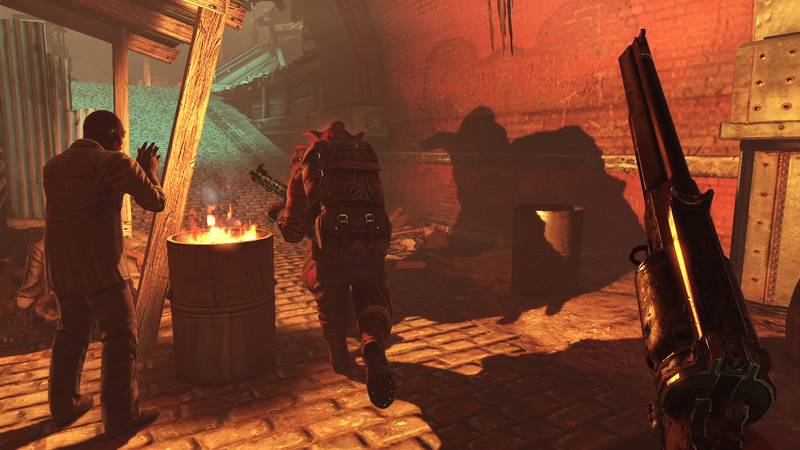 Columbia's streets may be more populated than Rapture's, but the essence exuded by the prim and proper citizens of the floating city is just as grotesque as the slimy Splicers hidden below the ocean depths. Despite this, Elizabeth - who you are tasked with rescuing early on in the adventure - remains pure and untainted by the city's ills. After loosing her from her captors, she becomes both a partner and a valuable asset. She'll help find ammo, cash, and even pick locks for you when needed. Never in my experience did she become a burden, and she does a good job of simply melting into the world until critical moments where she more often than not is used to provide a push to the plot. Technically speaking, it's difficult to believe that Infinite is running on six- and seven-year-old hardware. Even in its unfinished state, the game looks simply amazing. The view distance is remarkable, and being able to see far-off floating islands that you can actually travel to in an instant really helps bring Columbia alive. 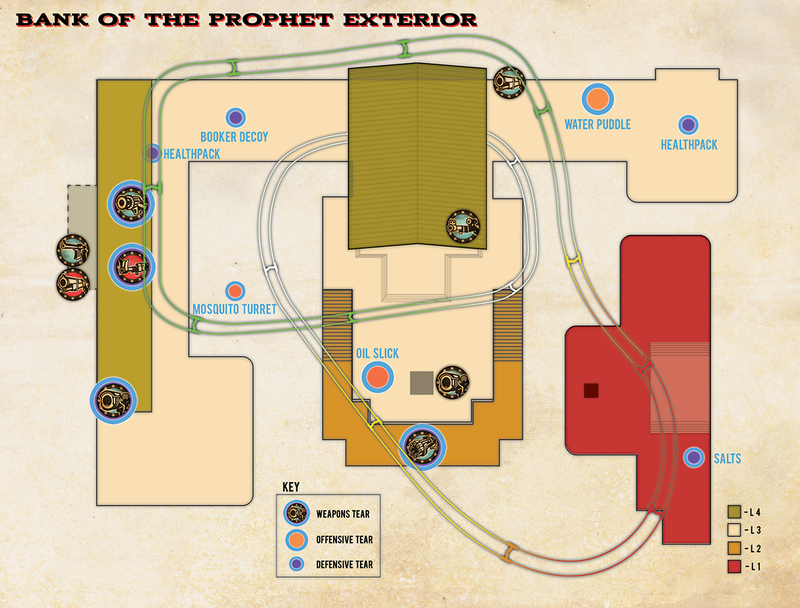 When combat erupts - an occurrence that happens with far greater frequency than in past Bioshock games - large, open courtyard encounters with armed guards are punctuated by tense, close-quarters battles where it's best to use a combination of melee attacks and your all-important genetic modifications to come out on top. I did notice a small bit of slowdown and some unfortunate loading times during particularly hot skirmishes, but it's entirely possible that these hiccups will be ironed out before release. 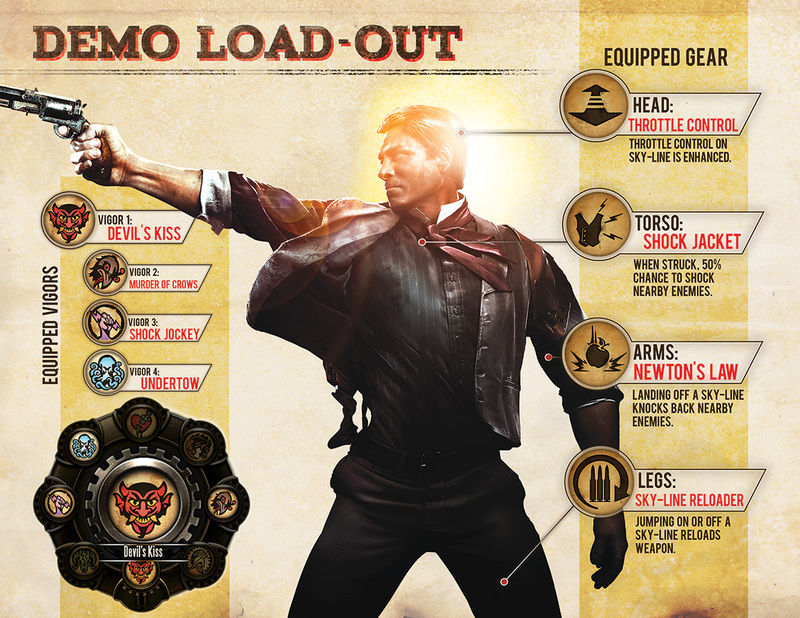 Speaking of genetic modifications, what would a BioShock title be without a slew of ridiculous powers to obtain? I only got to try out a small handful, but the sampling that was available still managed to impress. In my short time with the game I did everything from possess armed robots to summon a flock of ravenous crows to peck groups of enemies into piles of bleeding flesh. You may think you've grown tired of utilizing pseudo-superpowers to down you foes, but if so, Infinite will almost certainly prove you wrong. 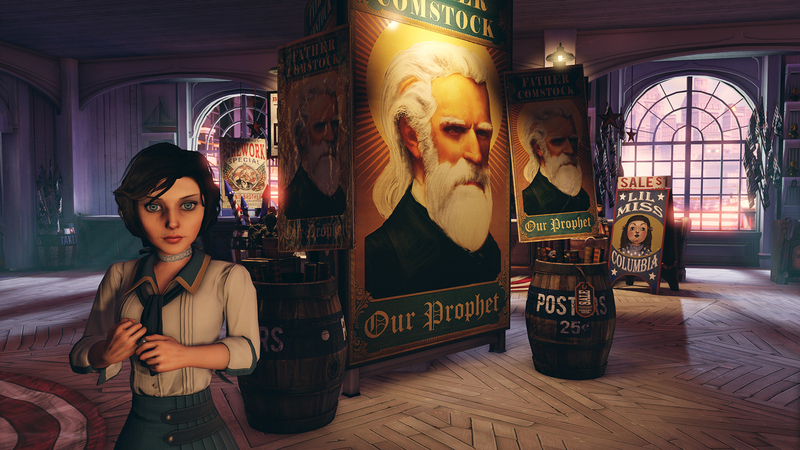 In the end, my time with BioShock Infinite proved one very important thing to me: BioShock is Irrational's baby, and while you might be worried that the change of venue will tarnish a beloved brand, there's very little to fear here. Unless, of course, you count murderous robots, psychotic cults, massive explosions, or the risk of falling tens of thousands of feet to your death.